Chelsea will never forget their horrendous start to last season against Burnley, they were three goals and one man behind as early as first thirty minutes of the season, crazy to say the least, they didn’t really recover from that shameful 2-3 home loss to Burnley all season long. They face the Terriers first here and must start well, it is Sarri’s first league game, his style must fit in quickly or he’ll fall behind and catching up won’t be as easy as he’d hope. 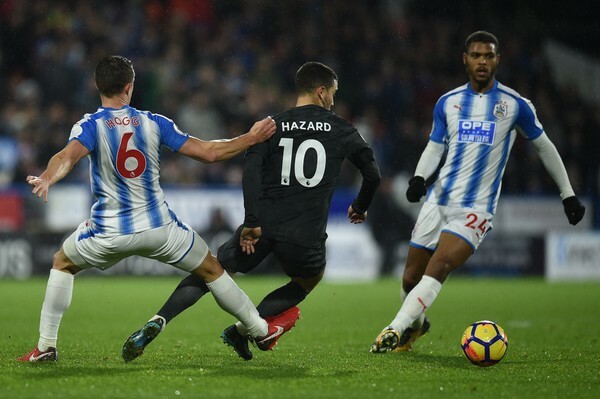 Huddersfield are a sure bet to go down if they don’t find ways to score, they surprised everyone last season as they survived the Premier League despite having a poor goalscoring record. Struggling to find the net is a norm for David Wagner's side as they became the first team to get promoted to the top flight with a negative goal difference. They have a bit of balance in the squad even if they didn’t really add super names to the team, they even let Tom Ince go to Stoke, David Wagner has it all to do to be very honest. Chelsea sold Courtois but signed Kepa for a world record fee, big gamble for a goalkeeper of such experience; Jorginho and Kante offer you the best of steel in the middle, holding on to Hazard must be their best transfer deal this summer, left for them to bring the best out of Morata and they will challenge for the title. Willian stays too, at least for now, the team can start on a high here.